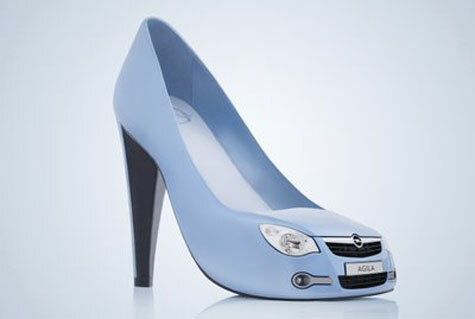 Opel Agila’s high-heel shoes do indeed exist. Designed by Luca Stappers, they were unveiled on April 2 during a special party at the SHOEBALOO shoe shop in Amsterdam. who would wear that anyway ?